Very recently, a doctor named Josebelo Chong who is now based in the United States made a blog entry in response to my previous post. 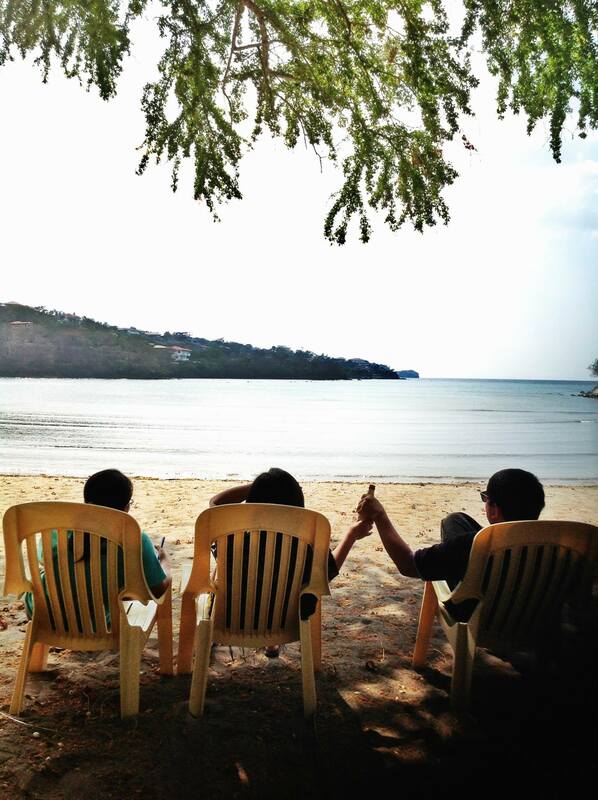 It is an interesting read from the perspective of another Post-Graduate Intern who had a different experience when he had his internship in UP-PGH way back in 2002. Also, a close friend and blockmate Dr. Kay Rivera made this amazing entry entitled UP Medicine: the (un)easy life -a good read about UPCM and UP-PGH internship from the perspective of a UP Grad! At the end of the day, how we experience life is just a matter of perspective. May we always choose to see the goodness in everything that comes along our way. 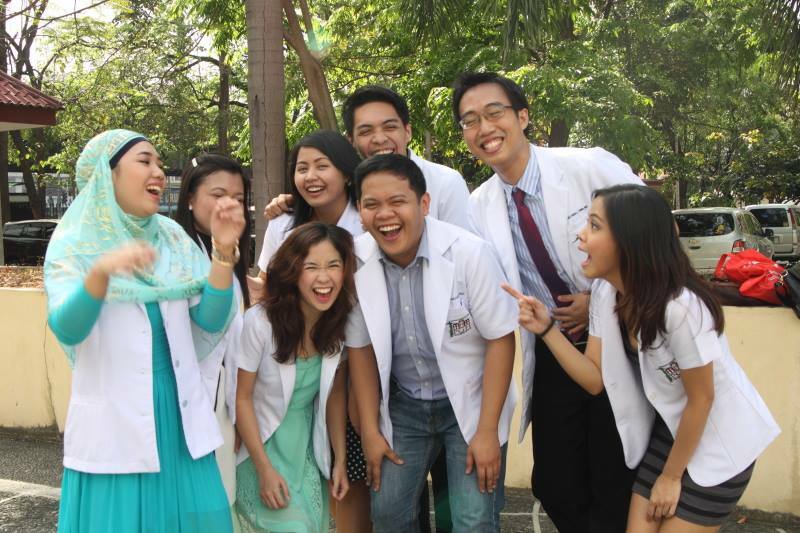 10 Reasons Why Medical Graduates Should Aim To Do Internship at the University of the Philippines – Philippine General Hospital (UP-PGH). Of all hospitals in the country, why PGH? Hey Fred, how are you? No regrets yet? 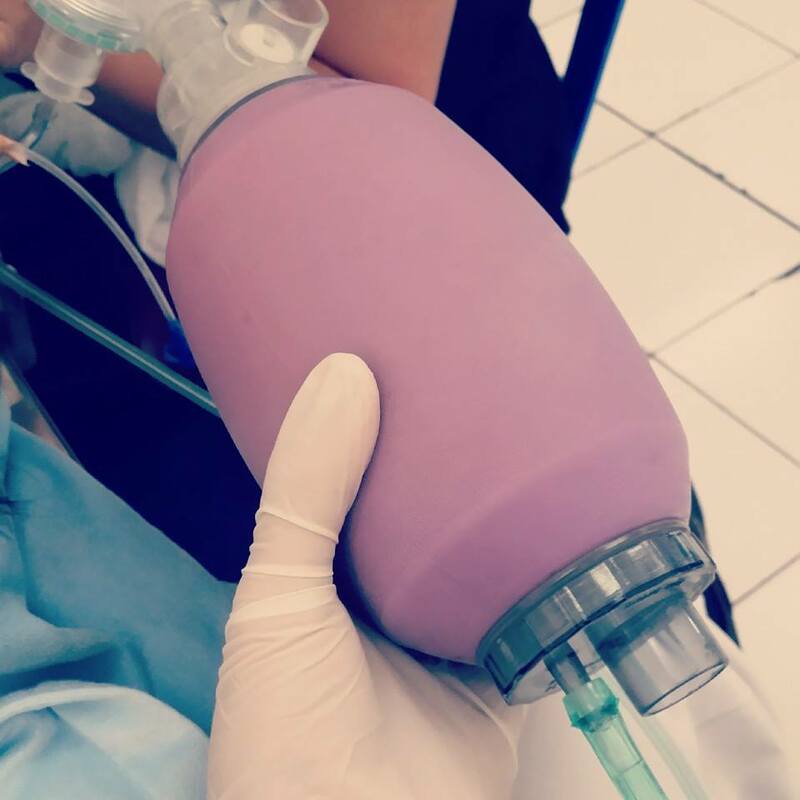 I have always wanted to train in UP-PGH because I would want to see as much patients and as much variety of clinical presentations of disease entities as I can. What better venue of achieving this goal than in UP-PGH? As they always say, “Kung hindi na kaya ng lahat, ipapadala din yan sa PGH.” (If other doctors / hospitals can’t handle it anymore, they will eventually send the patient to PGH). 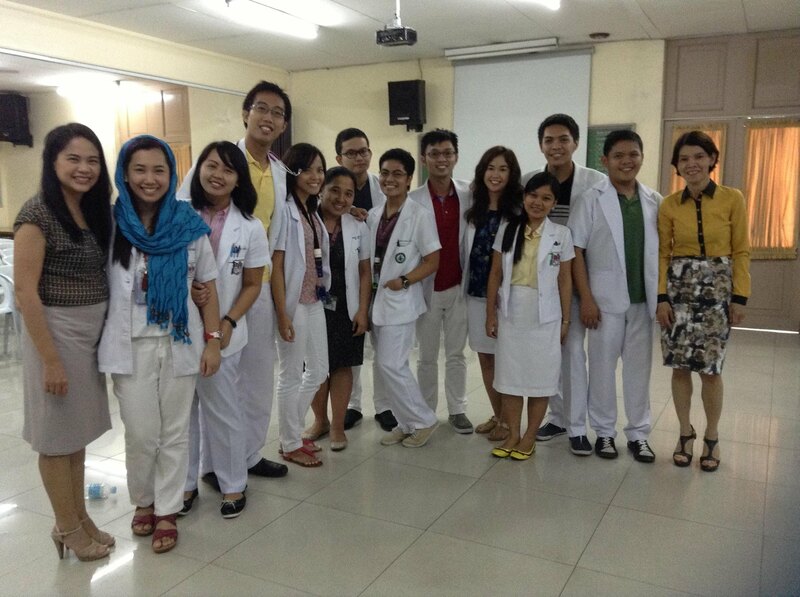 Being accepted in UP-PGH, I have never been happier and fulfilled as a medical doctor. Regrets? How can I regret something I have always wanted? 1. You will train with, and be guided by the best of the best. We can’t deny the fact that the University of the Philippines is a place where most, if not all, of the brightest people in the country get accepted and enroll. So yes, if you do your internship here, you will be amazed how sophisticatedly intelligent they are –but DO NOT BE INTIMIDATED. They are generally nice people, and they will be your co-interns –which means, you’re just on the same level ground, no one is superior to the other. And we should always remember that becoming a good doctor is not just about intelligence, but is more of diligence –something all of us, whether you’re from UPCM or not, have equal chances of doing. Just like you, your residents have been thoroughly screened before being accepted, and are stellar in their own way. So expect to be guided and taught really well. 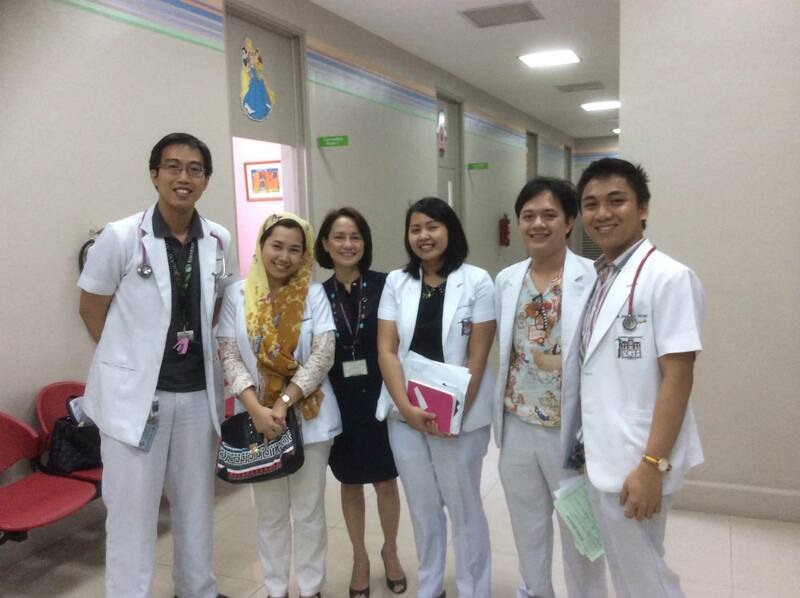 The intern – resident relationship in UP-PGH doesn’t have that kind of hierarchy like in most other hospitals where an intern can only speak to a first year resident, a first year resident to a second year and so on. In PGH, even medical students ask questions to consultants during conferences! And take note, the consultants in UP-PGH aren’t just any consultant, but they’re mostly the people behind Clinical Practice Guidelines being promoted by the different medical specialty and subspecialty societies used by all doctors in the country! 2. 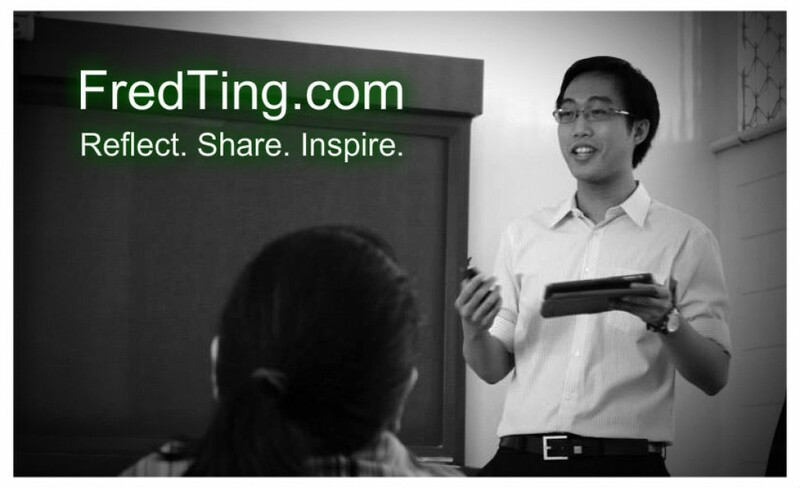 SERVICE and LEARNING has, is, and will always be emphasized. 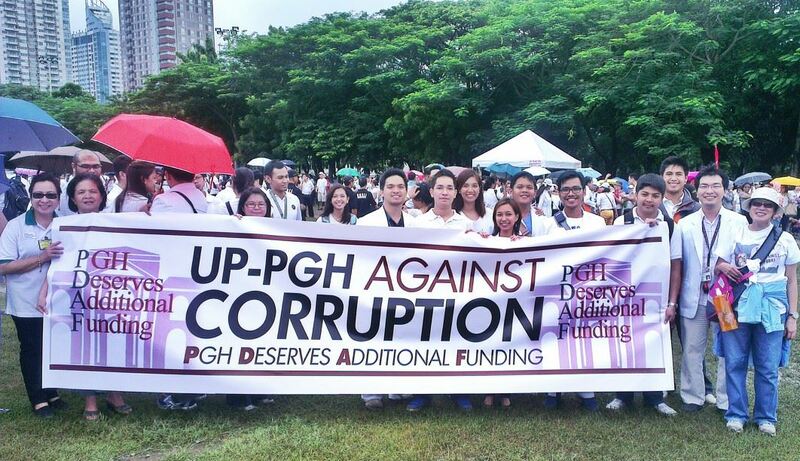 UP-PGH is a government hospital under the management (and budget) of the University of the Philippines – Manila. If you are a person hungry for patients, this is the place for you. 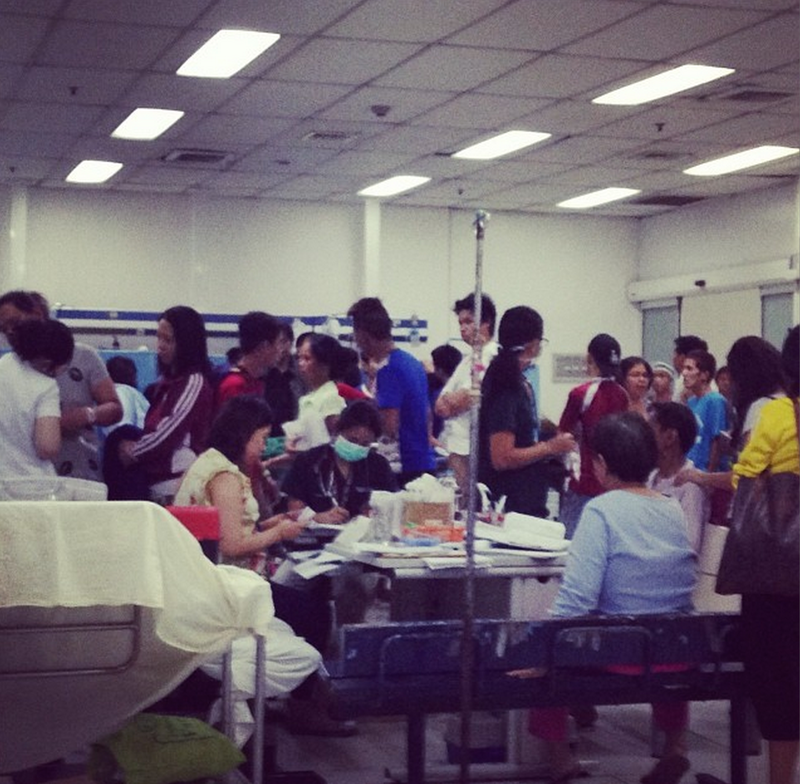 There is an overabundance of patients, and it can sometimes be tiring. 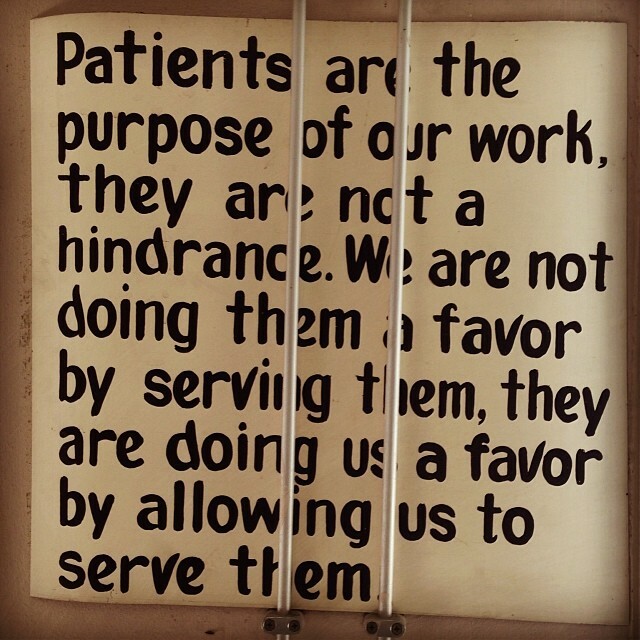 BUT, just imagine the lessons each and every patient can teach you. For instance, if you see at least 10 different new patients everyday, and learn from each patient 5 new things, then that means you learn 50 new concepts every day! You might think that you won’t find time to study due to the patient load, but I will argue with you with this thought: Finding time to study is a matter of choice. It’s like eating –if you choose not to eat, then you will end up hungry. If you prioritize food, then you will not starve. If it sometimes gets too tiring to hit the books after duty, worry not my friend –the DAILY endorsement rounds with residents and consultants in UP-PGH will teach you very important clinical pearls and must-knows as a clinician. With regards to your patients’ lack of education, imagine the opportunities for you to teach them about health. You will be amazed that people from all walks of life have different health beliefs and misconceptions. UP-PGH’s Department of Family and Community Medicine will instill in us that we always respect the beliefs, but through patient education and counseling, we will always have the chance to correct the misconstructions. You might think that this is something petty, but believe me, what we teach our patients go a long way in their lives and in the lives of their families. 4. Your good deeds will be highly appreciated. 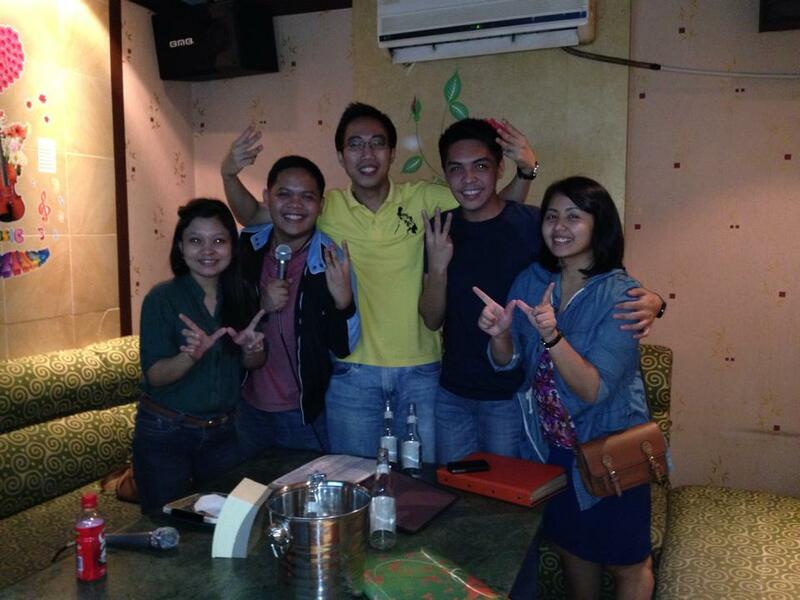 People in UP-PGH are generally good-natured. You will be surprised how residents and patients alike would commend you for a job well done. Correct me if I’m wrong, but as far as I know it is only in UP-PGH that residents write notes of appreciation to clerks and interns on the patients’ chart as part of their entry! 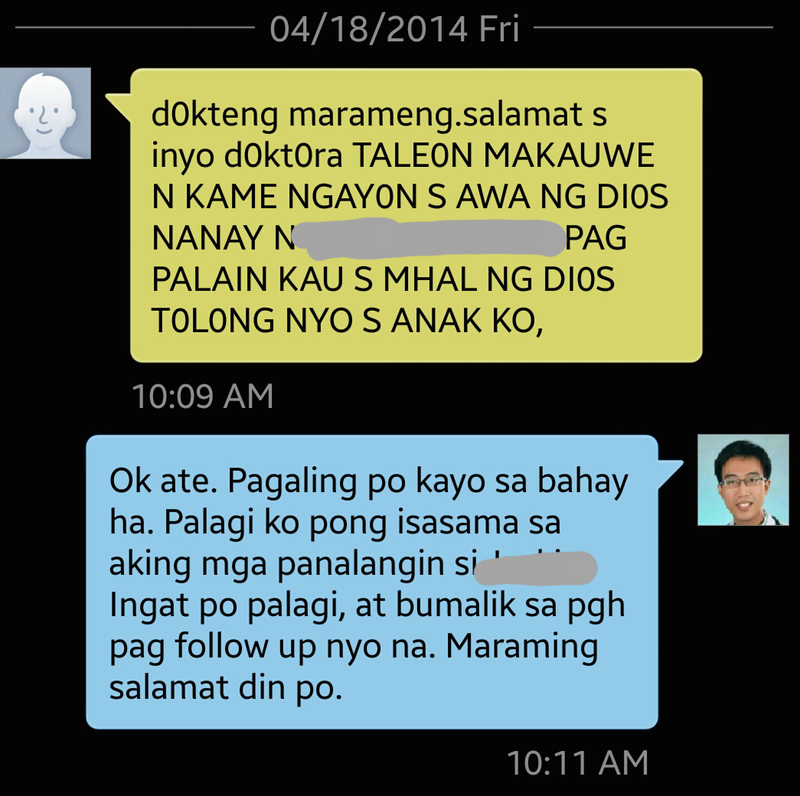 [PEDIA – NUERO] A text message from the mother of one of my patients in the wards. After being in the hospital for nearly a month, they finally got discharged! 5. You get the chance to ACTIVELY manage patients as if it were your own. In UP-PGH, interns (and clerks) are always told that they are in the hospital not just to carry out orders, but as part of the health care team –this means that you can always “suggest” your plan of management for your patient. If the resident agrees to your suggestion, then he/she will note on the chart that your orders be carried out. 6. You will be able create wonderful friendships with people from all over the country. 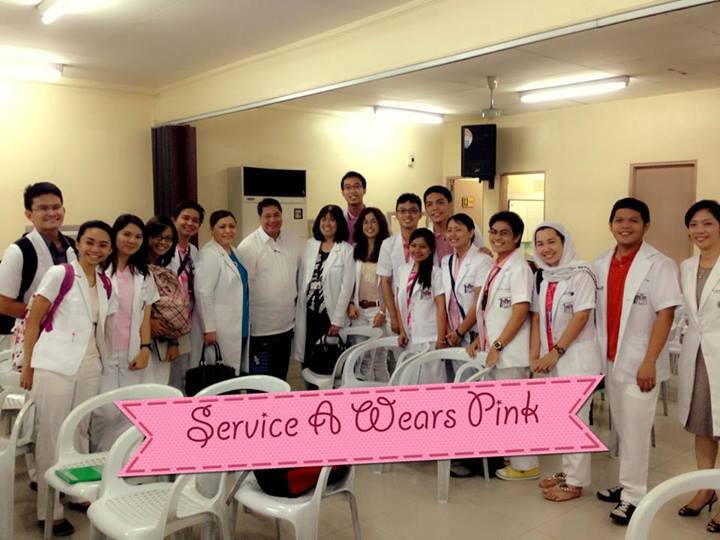 UP-PGH is a place where doctors from all parts of the country come and train. If you are friendly enough to bond with them, when you guys graduate and practice in your own provinces you will have friends from different parts of the country that can make your networking strong and can help you establish your linkages whether it’s for work or leisure. 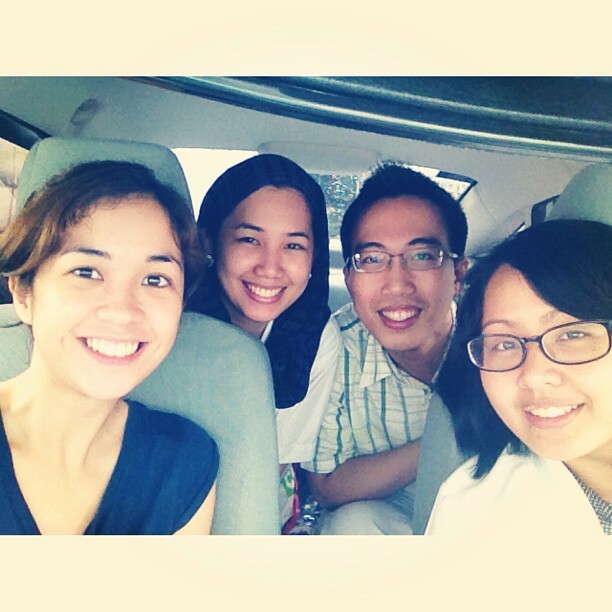 [IM] NICU Rounds with Stellar Clerkies and Dr. Magallanes! 7. 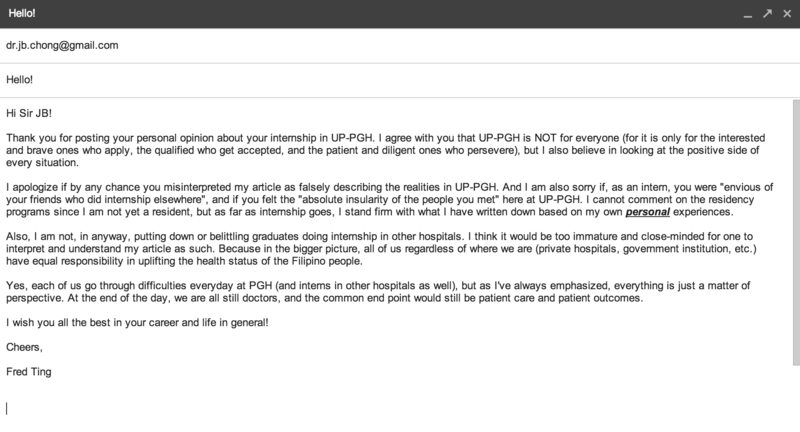 UP-PGH isn’t all about work. You will have SUFFICIENT TIME to study and even go on long distance trips every once in awhile. Work in UP-PGH is generally tiring (especially on your Big-4 rotations, special mention to IM and Pedia wards) but ALWAYS fulfilling. And hey, in between these big rotations are the benign ones where you will have the chance to have free weekends! This is possible because first, the interns are the ones making the schedule. And second, it doesn’t really matter “who” is on duty, but more importantly, the job at hand “gets done.” So talk among yourselves, cover each other up, and everyone is happy with their weekends off. [Jonas’ Block] Chillin at the beach like a gangsta. 8. The hospital environment will keep you grounded not only as a doctor, but as a person. 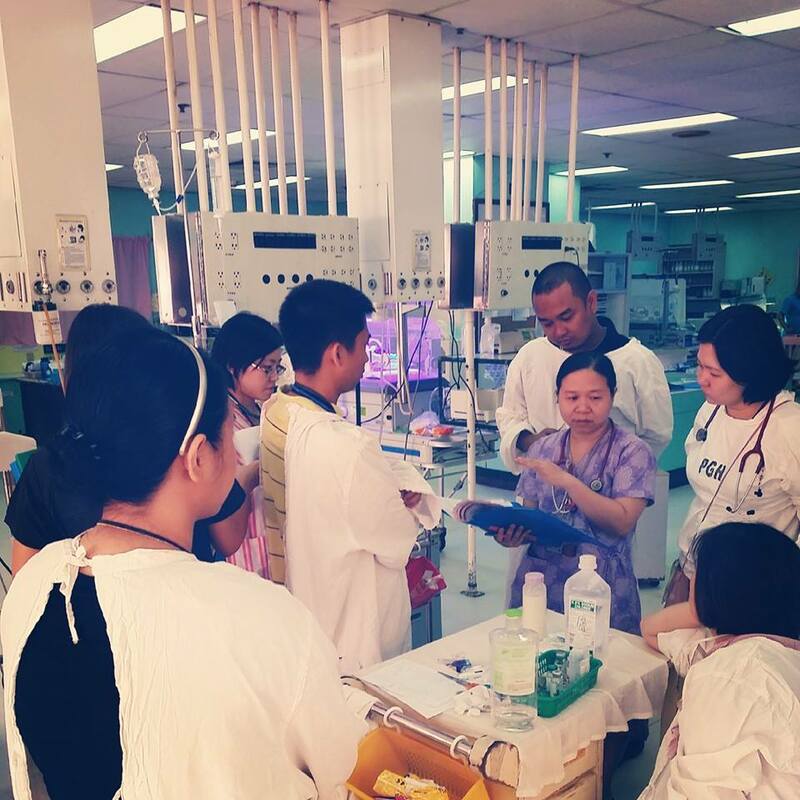 Interns in most hospitals in the country are being call “Doc” –a word that somehow makes us feel being placed on a pedestal and a bit superior from others. In UP-PGH, people will call you “Sir” or “Maam.” Do not be offended. It is not there to put you down or to disrespect you because this is how we also address our residents and consultants. I think the concept behind this is to inculcate in our minds as early as clerkship and even as you become a consultant, that as a medical doctor, we may be the leader in our patients’ management, but we are also PART of the team, just like the nurses, the nursing attendants, the midwives, the manongs, the residents, the interns, and the clerks, and that each one of us, regardless of position, have an EQUAL responsibility to provide the highest possible quality of care to our patients. There will be days when you’d receive patients with Uncomplicated UTI at the OPD and it will make you wonder how the health system of this country really works. And how a patient with a disease that can be managed by a rural health unit end up at the OPD of a tertiary hospital. Yes, indeed, you will realize that a lot of work still needs to done in this country. And you would only know its gravity and urgency, if you’ve experience its severity. At the start of every rotation, all patients of a department you are currently rotating in will be divided among interns (and clerks if they’re around) –eg. 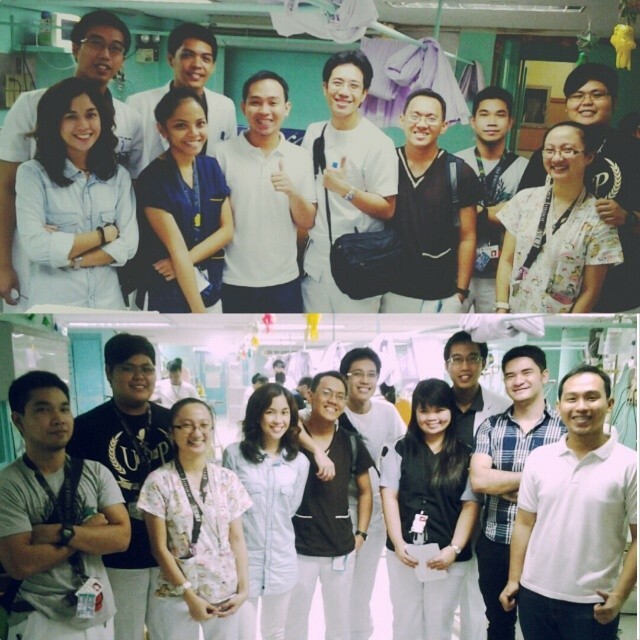 80 patients in IM, 10 interns = 8 patients per intern. You will be called “SICs” or Student-In-Charge of those patients. Everyday when you report to work, you do rounds and make SIC notes on each of your patients IDEALLY BEFORE your residents do their RIC notes. If your resident agrees with your chart entry, he/she may countersign your entry (and for many, this is a defining moment of an SIC). If your RIC makes his/her own notes, its either your RIC is just super diligent, or he/she does not agree with your entry. Try to read between the lines. SICs carry out all the orders for each patient –this starts with making laboratory requests and making sure they are paid by your patients; facilitating CT scan, ultrasound, and xrays. If they can’t pay, you make sure they are referred to Medical Social Services (MSS). By “making sure” it means that they know WHEN and WHERE to go. Interns are also responsible for extracting blood samples from their patients, and see to it that all specimens are sent immediately to the lab. Yes, you will master the art of doing ABGs, even to newborns. 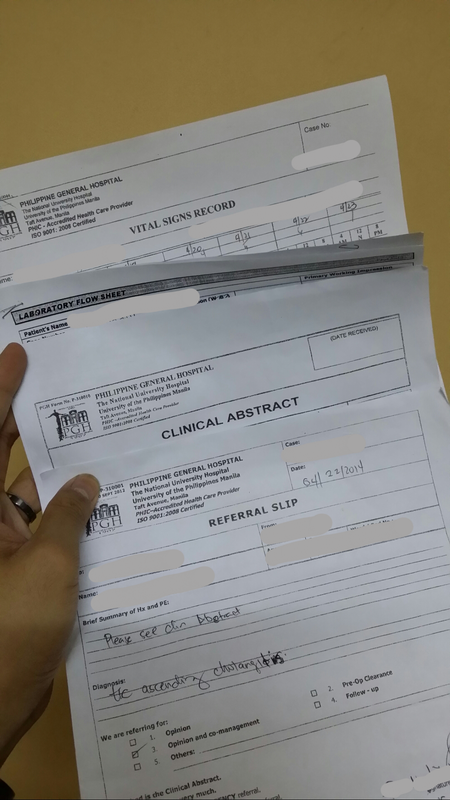 SICs do the necessary referrals –which includes two referral slips, and one abstract. Some departments have specific forms –good luck if you’re tasked to do an Infectious Disease referral! 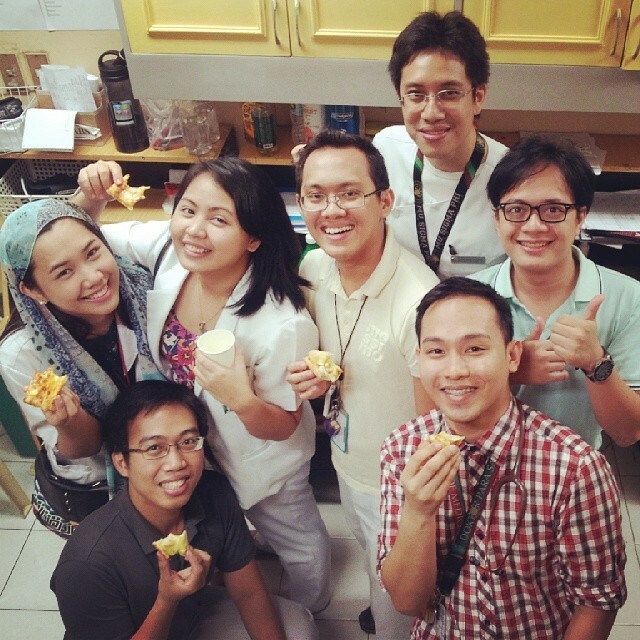 Interns (together with clerks) do the Q15min, Q30min, Q1H, Q2H, and strict Q4H monitoring of patients in all departments, including special posts like the Cancer Institute and the Recovery Room. When I say monitor, I mean taking their BP, CR, RR, Temp, SaO2, and Neuro VS for neuro patients. [IDS Referral] Make sure it is filled up completely. Otherwise, it will be rejected! Good luck. In other hospitals, interns don’t really do the routine vital signs taking of patients, referrals aren’t that hard to do, and medtechs do all the blood extractions from patients. You may feel discouraged to enter UP-PGH because of the bulk of work an intern does within its walls, but hey, isn’t this why we wanted to become doctors in the first place? So that we can help the needy and the least fortunate? [SURG] A reminder at the OPD. Here, we do not stand and watch, but we actively participate. We do not blindly take the vitals of our patients, but we talk to them, we become friends with them, and in the process we become their allies in health. We do not simply extract specimens for the sake of extraction, but we learn the art of comforting them and a feeling of genuine concern that heightens rapport is established. In UP-PGH, acquiring skills and theoretical intelligence is already a given, but I think what’s more valuable is the opportunity for you to build your character –a character not only of honor and excellence, but also of humility and discipline. If there’s one thing I’ve learned in my one year of internship here at UP-PGH, it is the fact that in life we will always have a choice, and we can always choose to place ourselves in situations that bring the best out of us, or we can choose mediocrity and forgo the chance of maximizing our potentials. The choice is yours. And whatever you choose, I pray that you find true happiness. With my block -the best block ever. 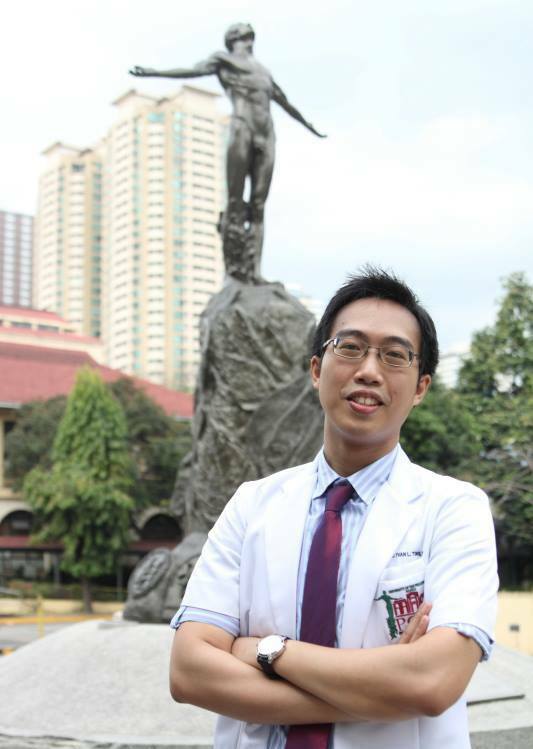 Intern Fred Ting, together with all the other post-graduate interns and UPCM Batch Labing Apat Walang Katapat signing out in 7 days. 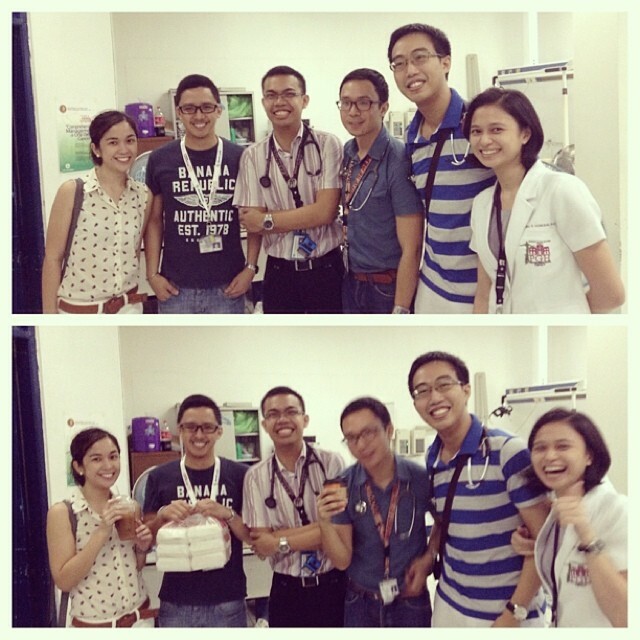 Highly appreciate our clerks, residents, fellows, and consultants!